If so, then today marks the first birthday for Constant Listener! If you’re interested in looking back at issue one, it can be found right here. I can’t believe that so much time has passed already, and am frankly humbled that so many of you have chosen to join me along the way. I hope that this project has helped you in some way, whether it is in diversifying your listening habits, or in sparking some thoughts about the artistic integrity of the podcast medium. Please, feel free to reach out and let me know what you think of the newsletter and website, and what you’d like to see in year two of this project. Oh, and since it’s our big day, I should mention that you can always support us over on Patreon if you like what we’re doing here. As you may know, today also marks the start of the 2018 FIFA Men’s World Cup, one of the world’s preeminent sporting events. Its arrival has gotten me thinking a bit about soccer and podcasts, two things which I dearly love. They have traversed somewhat parallel paths to prominence in America, with plenty room still to grow, and I think that it’s worth exploring. For starters, being a fan of the sport in this country had for a long time been a lonely path to tread. Competing against four or five more popular sports meant that traditional media seemed perpetually loath to cover it in any meaningful way. I can recall coming off of the high of the 2010 World Cup, believing that America was finally ready to embrace the sport fully, but the wall-to-wall coverage I’d enjoyed during the tournament retreated the moment Spain hoisted the trophy. As a result, soccer fans looked toward the still nascent podcast medium as a way to fill the void, and shows began to sprout like mushrooms after a rainstorm. And, like an overeager forager, I consumed them all. These were all largely DIY affairs, mostly aping traditional sports talk radio but they provided American soccer fans with the kind of analysis and gossip that they craved. While they aren’t exactly fondly remembered for production values or timelessness, from this remove I am able to see something special in them. I used to bemoan the lack of coverage from mainstream media outlets, but from where I sit now I see that it actually was a gift. It showed me the beauty of podcasting and fundamentally transformed my interests in the medium. I went from being someone who only subscribed to public radio podcasts, never really venturing into the realms of independent media. Once I’d gone down that path it opened me up to an incomprehensibly vast landscape, one which I find myself mired in to this day. And much in the same way that soccer’s popularity in the United States has grown—and our appreciation for its nuances deepened—so too has podcasting begun to hit a new levels of artistic maturity and cultural acceptance. 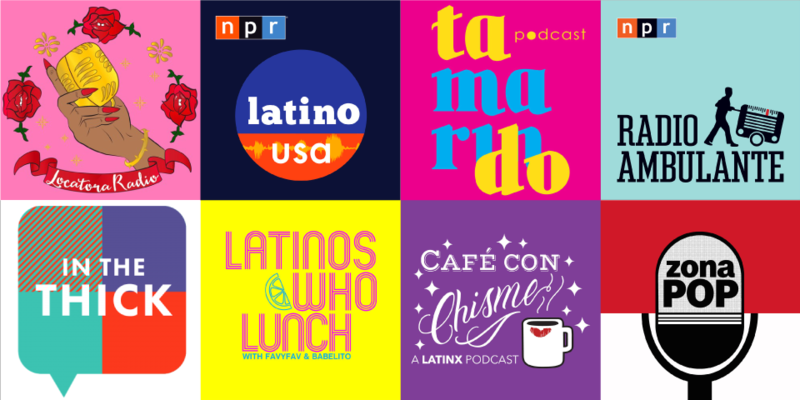 What has really excited me in the run-up to this World Cup has been that this is the first time that we have extensive buy-in from podcast studios and creators. No longer content to simply produce recap discussion shows, this time around we’ve seen the launch of several distinctly different narrative works, telling stories of the game, its players, the unbridled emotions it gins up, and the murky politics of it all as well. This week I’m pleased to say that these shows represent some of the finest soccer podcasts I’ve ever heard, and believe me when I say, I’ve heard them all. American Fiasco from WNYC Studios finds Roger Bennett of the hit soccer podcast Men In Blazers examining the United States’ disastrous appearance at the 1998 World Cup in France with characteristic humor and empathy. So when I got word that Bennett was working on a project with WNYC and that it would be World Cup-related, I was beside myself with anticipation. There are so many rich stories to tell about the tournament, with its long and tumultuous history, it’s like a particle accelerator for human emotions. It would then be an understatement to say that I was surprised to learn that the show’s aim would be an in-depth reporting of the US Men’s National Team and their dismal performance at the 1998 World Cup. It felt like a moment that didn’t really beg for close inspection, one that existed in the predawn era of American soccer. The US finished dead last in the 1998 tournament, and with the present-day incarnation of the team failing to qualify to play I was afraid it might stir up morbid parallels. What happens instead on American Fiasco is some of the most open and earnest storytelling about sport that I’ve heard in podcasting. Bennett and his production team set the tone early through episode scoring and the series’ inspired theme song from Big Red Machine, a collaboration between indie luminaries Aaron Dessner of The National and Justin Vernon of Bon Iver. It is that theme song that I find of particular importance. Not only is this a serious flex for a podcast of any size, but it also helps that it is bereft of any affect that one traditionally associates with sports stories. It is, instead, a lightly energetic piece, imparting a feeling of ascension and hopeful energy to the story that follows. It signals that, even though this program is a tale of defeat, it is not a salted battlefield affair but instead a place from which to grow anew. Bennett’s telling of the story is clear, and his interviews are wonderful. Having spent countless years around the Men’s National Team he has an easy rapport with just about every member of that ill-fated squad, resulting in remarkably candid anecdotes that would elude another journalist. Though, just like in the sport of soccer what may look like easy individual glory is often the result of a skilled team working well in concert. It is hard not to notice the contributions of veteran producers and editors in helping to shape the build-up and aftermath into an engaging narrative. Sports stories are usually contained to a game or series of games, but Bennett and company manage to get listeners from Paul Caligiuri’s “shot heard ‘round the world” in 1989, all the way to the 1998 World Cup in cohesive and meaningful fashion. American Fiasco is the kind of show that finds resonance and appeal for its audience regardless of their connection with the game going in. This is achieved through the crafting of distinct character voices from the interview tape, and Bennett’s work, serving as Virgil guiding fans through this American sporting Hell, only serves to deepen listeners’ connection to the events with his characteristic blend of humor and earnest enthusiasm. It is a rarity to get a multi-part narrative podcast series about soccer, and rarer still one that tells its story quite as well. One hopes for the show to have legs beyond the World Cup, and perhaps open a door for Bennett to expand this extended narrative style to other major moments from the game. For a story about abject failure, American Fiasco is wonderfully anything but. Subscribe to American Fiasco here. Game Of Our Lives, the latest release from Jetty Studios, features the cosmopolitan sports journalist David Goldblatt who provides an incredible level of insight into the political, economic, social, and cultural movements afoot in the world’s game. As a more than passive observer of podcast studios and their roll-out strategy, Jetty Studios is doing something decidedly different than most, but in a way that I find really rewarding as a listener. Where others might front-load their lineup with a large number of programs to attract as many listeners as possible, Jetty’s approach seems to have flipped that model on its head. Taking instead a patient approach to each program’s creation, molding them to the personality of each host and focusing on topics which comment directly on the moment in which they’re being created so they feel completely bespoke and honest. This is what made their debut program, last year’s Closer Than They Appear with writer Carvel Wallace feel both unexpected and completely necessary at the same time. So how does this nascent network follow-up such a justly lauded debut? By recreating that same sensation of misdirection and dropping Game Of Our Lives, a sociopolitical analysis of all corners of the globe as viewed through the lens of its one shared sporting passion, soccer. What could be a bit of a reach ends up sticking the landing due in large part to the presence of veteran journalist and sociologist David Goldblatt, whose book about the evolution of English soccer lends the show its title and a broader mission statement. That is, to examine the ways that soccer—and to a broader extent the culture around the game—surreptitiously acts both as a reflection and magnification of a country’s unexamined social struggles, ingrained beliefs, and much more. It’s a particularly fascinating way of going about this, and one that has a great many strengths built into it. For starters, Goldblatt has a prodigious enthusiasm for the beautiful game and to hear wax on about its virtues and pitfalls feels likely to convert even the staunchest American football fan. As well, it is helped by Goldblatt’s seemingly endless supply of knowledge, both on the game as well as pertains to each country being reported upon. This gives a quality to the show where he feels like a sort of like the insider’s insider, someone as passionate about sport as he is about sociology, geography, and politics. 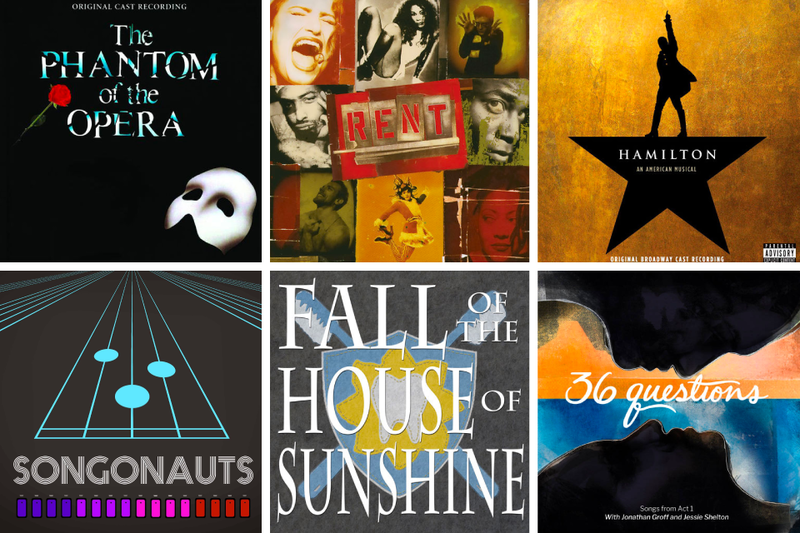 All four of these play a critical role in the show, creating a rather infectious energy. One is struck by the scope of the show’s interests.The first season alone covered everything from FIFA’s hijab ban and a firsthand account of the fight to have it reversed, the story of a Nigerian club started by a Pentecostal church—called Mountain of Fire and Miracles FC—run according to a strict moral code, to the surprising recent growth of the game in India. That’s only scratching the surface, and Werner Herzog even sits down with Goldblatt for an conversation about the spectacle of the game and how one might best capture it. It might be a stretch, but one feels that the show excels in part because a number of the elements that made Anthony Bourdain’s travelogue television shows so successful are replicated in it as well: an irreverent, convivial, and knowledgable host with an open mind and a desire to understand each culture from the people who live it day-to-day. Just swap food for soccer and you there you go. Game Of Our LIves‘ second season has just launched last week and it will be exclusively focused on the World Cup, breaking down the history of the tournament, the stories behind the cities it will be played in, and even breakdowns of which matches new viewers might want to focus on and why. Along with that, there’s sure to be plenty of insight, banter, and Goldblatt’s electric personality, making it an ideal companion for this tournament. Subscribe to Game Of Our Lives here. We Came To Win is an infectiously entertaining episodic dissection of some of the biggest matches in World Cup history and how they resonate within the game today. 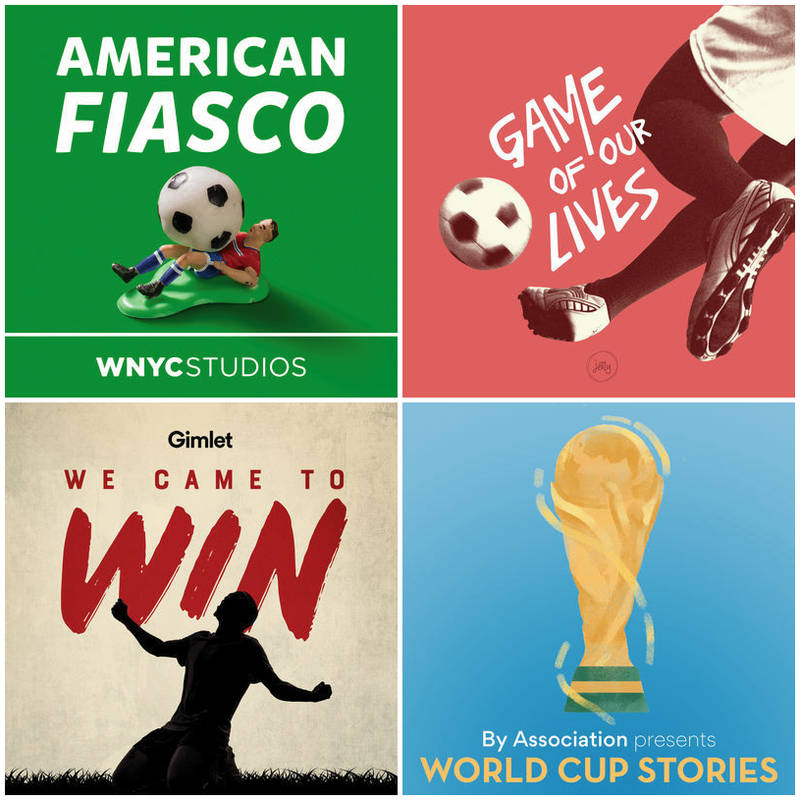 When I heard that Gimlet Media would be launching their own World Cup podcast, I was honestly a little stunned. Again, I know that this is the global game, and one of the biggest sports spectacles next to the Olympics, but it still has a niche appeal in America. So, to have perhaps the most well respected podcast studio making a World Cup themed show felt like a bit of a dream. Even more that the show fuses the Gimlet house style of episodic narrative storytelling with an audio fit and finish that few can match. The resulting show, We Came To Win is a soccer fan’s delight, thoughtfully profiling a handful of the World Cup’s most recognizable moments, storylines, and personalities to examine how they have impacted the larger world today. Hosted by the ebullient and charming Nando Vila, We Came To Win is the kind of show that makes for excellent listening throughout the tournament, as it touches on all aspects of the game during such an important time. Whether it be a star player, the perception of an entire team, the referee, or even the fan, over the course of the series, every perspective is given weight. One of the more notable things that the show does is to dedicate a number of its stories to the Women’s World Cup, giving credence to the notion that tournament is every bit equal to its male counterpart. Hope Solo and Diego Maradona are treated as equals within the world of this podcast, and I think that is quite a wonderful statement to make. The stories are impressively varied, from the way the 1990 World Cup in Italy transformed the sport in England and indeed the world, to the sport’s jingoistic use as a tool for political power in Zaire, to the mutiny of the Spanish team in the 2015 Women’s World Cup. Maradona and Solo are profiled, as is Ecuadorean referee Byron Moreno, the so-called “most hated referee in the world.” Each of the stories is told exceedingly well, with the right amount of historical perspective laid in for the benefit of the uninitiated. These interviews and historical footage go a long way in building the rising action of the narrative to a satisfying climax, especially as no match in the World Cup happens in a vacuum. It is a credit to the show’s editors and producers that each episode of the podcast is something of a vivid journey without ever becoming overlong or unwieldy. For so visually beautiful a game, the idea of profiling it in an audio-only medium might seem like a hindrance, but the show uses this as a strength instead. Typical of a Gimlet show, the sound design and scoring are first rate. A special mention should be made of how well sound designer and musician Bobby Lord weaves a sonic tapestry that enriches the stories being told by not just transporting listeners into the moments being discussed but heightening them as well. Perhaps the best compliment that one can pay to a podcast’s music is that the show’s advertising music—usually a signal to listeners to skip ahead—is so captivating that one can’t help but stick around. If I have one complaint, it’s that the show isn’t going to become a regular feature for Gimlet. It has, in fact, already completed its run of episodes. I can understand the desire to capitalize on the popularity of the World Cup, but one feels that a show like We Came To Win has legs to continue as a year-round program. One that fills a big hole in the world of podcasts, by treating sport with the same level of artistry as topics like science, crime, or history. If there is any hope, at least listeners can likely expect it to be revived this time next year in advance of the 2019 Women’s World Cup. Subscribe to We Came To Win here. World Cup Stories is a new spin-off from the wonderful Australian soccer podcast By Association, focused on the human stories of World Cup fandom. James Parkinson’s podcast By Association has been a continual delight since launching in 2016, featuring many of the smaller stories of the sport of soccer, given a platform that they may have never had in the past. These can range from personal anecdotes about attending memorable matches, to the stories of clubs with amazing histories and the fans who are trying to preserve it in the face of a more modern game, even fantastic ones, like the French bar that started its own team, only to end up creating an entire league. It’s all the kind of human-centric storytelling that works so well in podcasting, and definitely unlike any other soccer show that I’ve come across. I was chuffed then to find that Parkinson launched a World Cup-related miniseries, just 5 episodes in all, where he sits down with a similarly soccer obsessed guest to relive memories of their favorite World Cup tournament and the impact it had on their lives. Like Parkinson’s other podcast, World Cup Stories is uniquely interested in the individual experience, rather than taking a universal approach to telling these stories. While the podcast doesn’t quite break the mold of what soccer podcasts are capable of, it makes for an interesting counterpoint to the other shows on this list. It serves to remind listeners that there are so many narratives around a tournament beyond what happens on the pitch. One hears endlessly about the games themselves, but less from the fan’s perspective and how the very act of watching has impacted their lives after the fact. There is plenty to enjoy here, with a pair of passionate fans reminiscing about their love for the game and the fascinating history of the storied tournament itself. Subscribe to World Cup Stories here. For The A.V. Club, I wrote about how a subtle tweak to Sleepover’s format has helped the show find an even more unique and important voice, signaling great things ahead for their newly-launched third season. The third season of beloved CBC podcast Sleepover is an object lesson in how to dramatically evolve a show’s impact with only minor tweaks to its core concept. Over the show’s previous two seasons, host Sook-Yin Lee’s winningly idiosyncratic approach has been to engender empathy among a disparate trio of strangers through the series’ titular overnight where they attempt to solve one another’s problems. This time around, a fourth member is added in the form of the location itself, as Lee and her team seek to connect Canadian institutions with the people directly affected by them. It is a rather brilliant move, making it suddenly a work of site-specific audio while also giving a brand-new level of depth to its already rich discussions. The first four episodes of the new season focus on Toronto’s Native Child and Family Services, with three young people whose lives have each been impacted by the institution sleeping over inside of it. One of the more interesting aspects of the new format is that listeners start by getting an inside look at the mission of the institution, which is later contrasted with the anecdotes of the people it is meant to help.